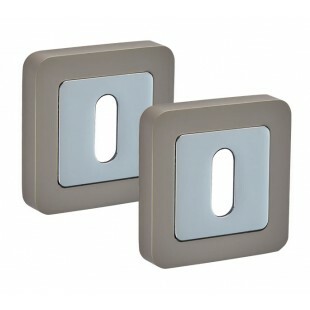 Complete your key locking doors with square escutcheon in duo satin chrome. 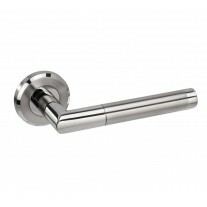 Situated below your door handles, these keyhole escutcheons provide a tidy finish around the keyhole in your door. 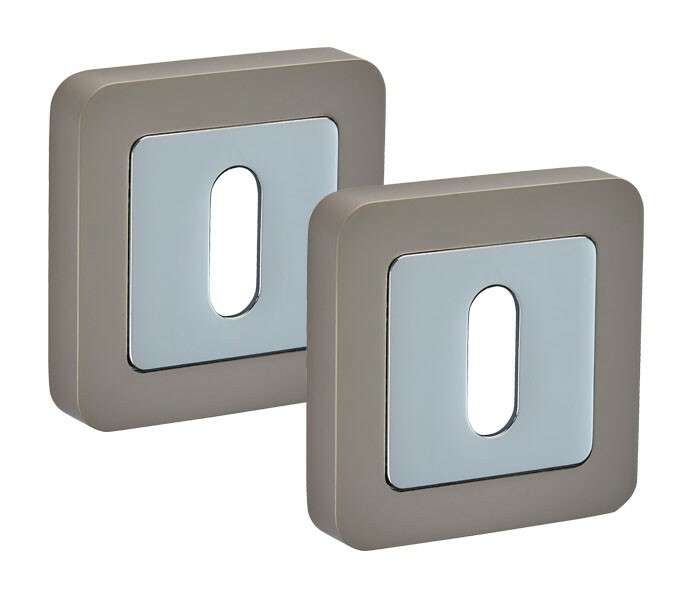 The stylish design is composed of a highly stylish square rose which features contemporary rounded radius corners. A champagne toned satin chrome finish amplifies the luxury nature of these escutcheons and is enhanced by a polished chrome inner rose. 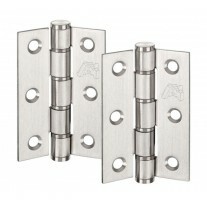 The square escutcheons are supplied in pairs, for use on either side of your door. 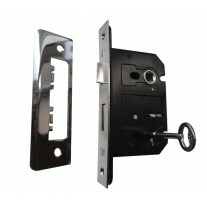 They are secured using wood screws which are included and these fixing points are nicely concealed using a rose cover which is fitted using a discrete grub screw. 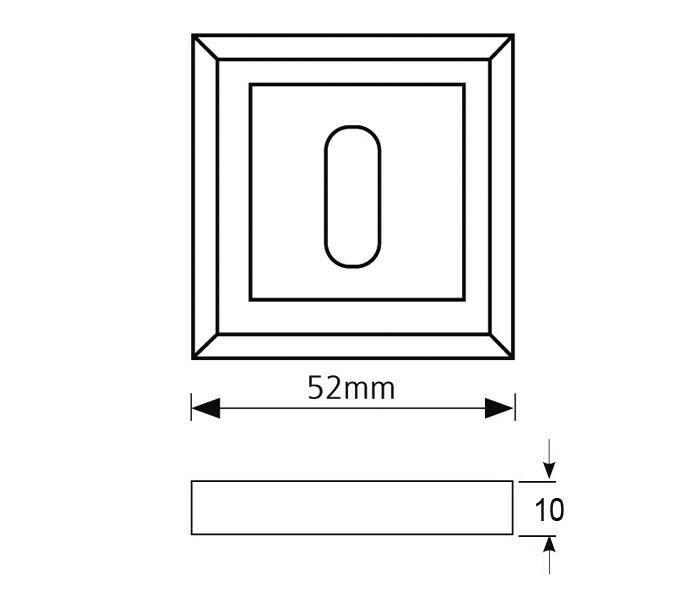 The square rose measures 52mm x 52mm and has a projection of 10mm.